While people are afforded broad freedom of speech rights under the First Amendment to the U.S. Constitution, this right does not include the right to threaten other people with violence and put them in fear for their safety. 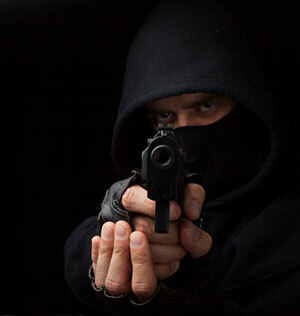 Under California Penal Code Section 422 PC, it is illegal to make criminal threats. This offense was previously called “terrorist threats,” however it can involve any threats of violence or harm. AND the other person’s fear was reasonable under the circumstances. Someone who intends that a statement be understood as a threat does not have to actually intend to carry out the threatened act, or intend to have someone else do it. An immediate ability to carry out the threat is not required. A man walks up to a group of unfamiliar young men he sees in his neighborhood. He pulls a fake gun out of his pocket, points it at the group, and threatens to shoot anyone who does not leave immediately. The group thinks the gun is real and run away. The man could be prosecuted for criminal threats, even though he lacked the ability to shoot anyone and even though his threat was conditional on the group complying with his demands. As long as the fear experienced by the group was actual, sustained and reasonable, the man could be found guilty of making criminal threats. In another example, a young man in high school submits poetry to his English teacher for an assignment. The poems reference coming to school with guns and shooting his tormenters. This young man could not be prosecuted for criminal threats, unless the threats made in the poem were unequivocal, unconditional, immediate and specific. A person is not guilty of criminal threats where the threat is not immediate, the threat is overly vague or ambiguous, the threat does not make the victim afraid, the threat does not cause reasonable fear or if the threat was not communicated orally, in writing or via electronic communications. In these cases, the defendant would have a valid defense if charged with this offense. Making Criminal threats is a “wobbler” offense that can be charged as either a felony or a misdemeanor, depending on the defendant’s criminal history and the factual circumstances surrounding the offense. A conviction for felony criminal threats can be punished by up to three years in prison with an additional year added if the defendant used a deadly or dangerous weapon in making the threat. This offense is a “strike” under California’s Three Strikes Law that can be used to enhance the penalties on future convictions. Making criminal threats is a serious offense that can carry significant prison sentences. If you are under investigation for this offense, it is critical that you consult with a Los Angeles Criminal Defense Attorney as soon as possible. As a former Deputy District Attorney with over 14 years of prosecutorial experience, Los Angeles Criminal Defense Attorney Michael Kraut has handled serious felonies of this nature from both sides of the aisle. Mr. Kraut has years of experience in handling major felonies, and works hard to ensure his clients receive the best representation possible. Mr. Kraut is highly regarded throughout the court system as a passionate advocate for his clients who possesses a deep knowledge of the law. For more information about criminal threats, and to schedule your free consultation, contact Los Angeles Criminal Defense Attorney Michael Kraut at the Kraut Law Group located at 6255 Sunset Boulevard, Suite 1480, Los Angeles, CA 90028. Mr. Kraut can be reached 24/7 at 888-334-6344 or 323-464-6453.